Spell the month out with 3 letters or complete word. What is the injected code to accomplish this please? You can change the date on your email notification. You can set the output of the selected date as day month, year. Please a look at the user guide below. 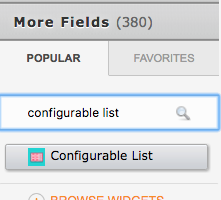 Additionally, you can add Configurable List widget to your form. By using this widget, users can select day, month and year from a list. Please have a look at the screenshots below for further information. 1. 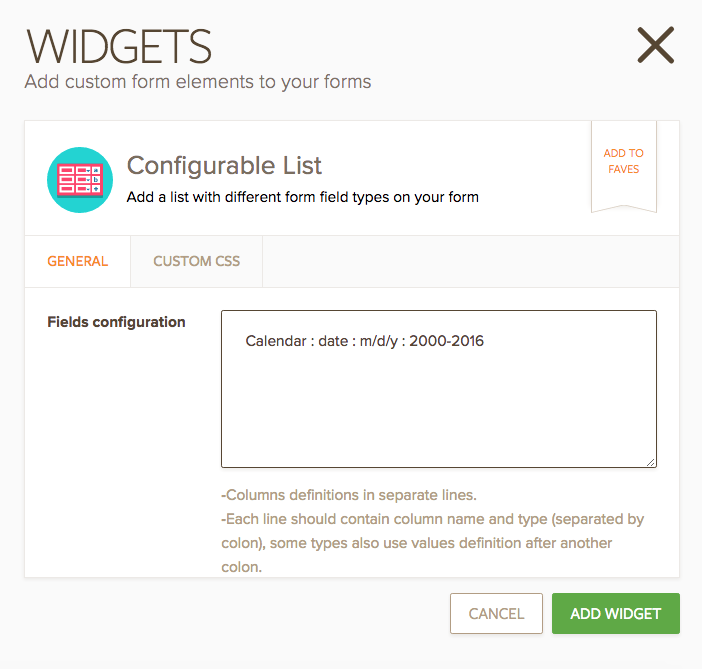 Add Configurable List widget to your form. 2. Delete all fields except Calendar field. You can set the year interval according to your request. 3. You can edit the name of the widget. I hope these help. If you need further guidance or have any question, please let us know. None of these solutions apply to request I have. You suggested deleating all the fields except the Calendar, why would i do that? "2. Delete all fields except Calendar field. " On my form 63423134202946, I have a Current date field. I would like the option of changing the display to show text for the month. I tried the "Configurable List widget" but having a calendar list is not what I need. The email notification date is not what I'm asking about. The easiest workaround we can offer is to use a form calculation widget and get a date string value of the current date. 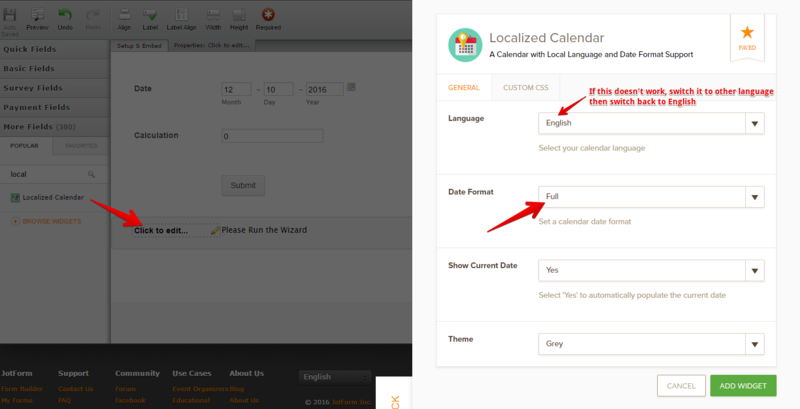 Or use, Localized Calendar widget and set the date format to full. Very interesting.. Using a Cal to get a date... I most certainly will give this a go. Thanks, It's what I need. Thanks for your response, Robert. We're glad to know Elton's solution fits to your need.